My name is Guillermina Corona Contreras and I come from Mexico City. 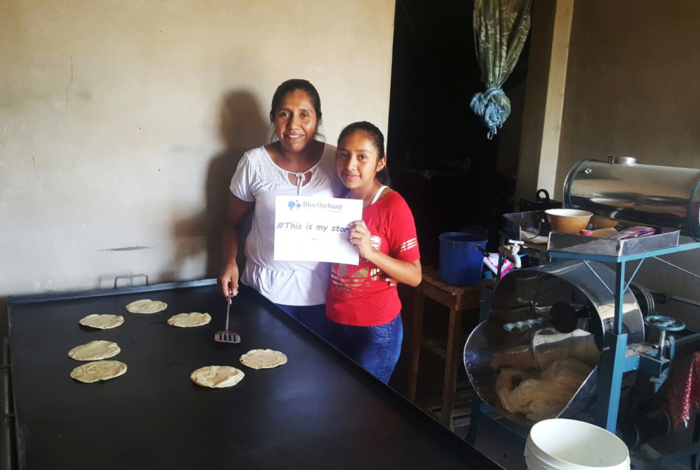 A few years ago, I inherited my mother’s artisanal tortillas business, as her poor health condition did not allow her to continue to run it on her own. With three children and a mother to take care off, I needed some external help to grow my business. Last year, I have obtained this support with a credit from FinLabor (Mexican Microfinance Institution). This first loan enabled me to buy enough raw materials to keep my business running. I then obtained a second loan, which I used to buy a machine to be able to make the dough myself. This enabled me to reduce my costs considerably. The introduction of new products, such as roasted chickens, increased the loyalty of my old customers and attracted new ones. Gradually, my business started to grow and I had to purchase more material and I even needed to contract additional employees to meet the high demand on the weekends. The two loans I have obtained from FinLabor enabled me expand my business to its full potential. Making tortillas and other artisanal products is now profitable enough for me to take care of my children and my mother. I am happy to be able to be a good mother, a good daughter as well as a good entrepreneur.